On the Thursday before Graduation, ArtCenter invites select employers from top companies and studios to Recruitment Open House. At this event, hosted by Career and Professional Development, graduating students network with industry professionals looking to identify talent for current or potential job openings. ArtCenter proudly presents the Spring 2019 graduating class. You’re invited to come meet our graduates and see the ideas, concepts and projects created by the next generation of artists and designers. At Saturday morning’s Graduation Ceremony, educational leaders from the College confer degrees upon our graduating students. In addition to hearing from the Student Leadership Award winner and class Valedictorian, a graduation address is typically offered by a notable artist or designer, a celebrated faculty member or a distinguished alum. On Saturday afternoon, Grad Show officially opens to the public following the Graduation Ceremony. Friends, family and people from across Greater Los Angeles are offered a chance to view the work of our graduating students at a more leisurely pace. Riding Through Compton, at Arcana Bookstore. The Palm Springs Photo Festival Connect 2019 offers professional, emerging, and serious advanced amateur photographers the opportunity to study with legendary photographers, show portfolios in our celebrated portfolio review program, check out the latest gear, attend cutting-edge seminars, symposiums, networking events and enjoy evening presentations by world famous image-makers. The inevitable relationships that are made or renewed at PSPF can oftentimes be transformative. Visit the website for more information. The fourteenth year Workshop Program will offer 20 intense, hands-on, remarkable classes with world-renowned working photographers and educators. Most begin with a meet and greet on Sunday, May 5th, and are followed by three full days beginning on Monday, May 6th plus a 4th day morning session on May 9th. 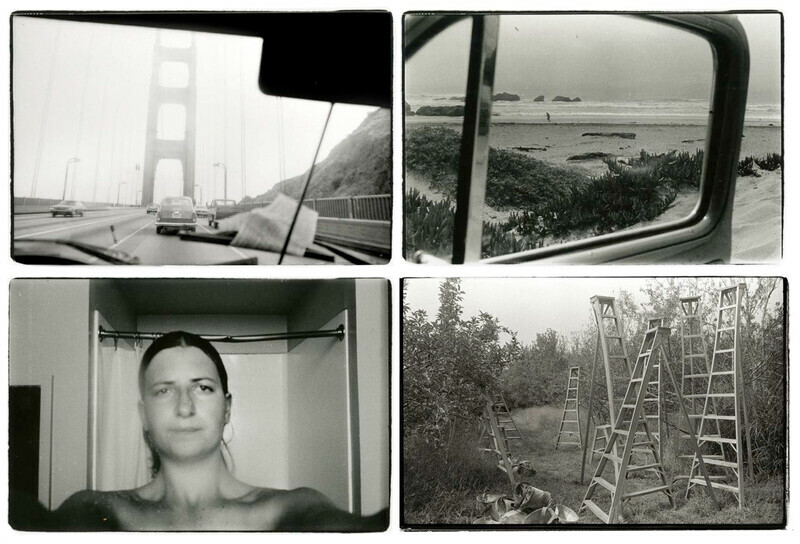 Beginning 14 February, Hauser & Wirth will present ‘Annie Leibovitz. The Early Years, 1970 – 1983: Archive Project No. 1,’ a new installation of the 2017 exhibition of the same title presented by the LUMA Foundation’s Parc des Ateliers in Arles, France. As the first comprehensive exhibition in Los Angeles devoted to the earliest work of this renowned American artist, ‘The Early Years’ features more than 4,000 photographs taken between 1970 and 1983. ‘Annie Leibovitz. The Early Years, 1970 – 1983: Archive Project No. 1’ will be on view at Hauser & Wirth Los Angeles daily from Tuesday – Sunday, 11 am – 6 pm from 14 February through 14 April 2019. NICK UT: "From Hell to Hollywood"
Huynh Cong Ut was born in Long An, Vietnam (the part of French Indochina) on March 29, 1951. Soon after his beloved brother Huynh Thanh My was killed covering the Vietnam War for the Associated Press (AP) in 1965, Ut joined the prestigious news gathering agency. Known professionally as Nick Ut, he covered the war in Cambodia, Laos, and Vietnam. He won the Pulitzer Prize for Spot News Photography and the World Press Photo of the Year for his June 8, 1972 photo "The Terror of War," depicting children fleeing from a napalm bombing on their village of Trang Bang. Kim Phuc, the naked 9-year-old girl in the photograph became the face of all that as wrong with the war. Ut took her and several other wounded children to a hospital. If not for his actions, Kim would have died. They remain friends to this day. Ut himself was wounded three times during the war. In 1975 Saigon was about to fall to North Vietnamese and Viet Cong troops, Ut left Vietnam, eventually being relocated in Japan for Associated Press. Two years later he was transferred to Los Angeles where he continued to work for AP. During that time, he covered wild fires, riots, earthquakes, the O.J. Simpson case, Hollywood celebrities, the Olympics, and the Pope's visit to the City of Angels. In 2012, on the 40th anniversary of his Pulitzer-Prize winning photo, Ut became the third person inducted into the Leica Hall of Fame for his contributions to photojournalism. On March 19, 2017, he retired from AP after 51 years with the company, allowing himself to refocus his energies on his love of documenting cultures and the natural world, creating his own assignments and distributing his work through Getty Images. Nick continues to teach workshops, do speaking engagements and have his work featured in exhibitions. DON BARTLETTI: "Between Two Worlds"
Decades before the current debate about migrant caravans and border security, Pulitzer Prize winning photojournalist Don Bartletti was documenting the unprecedented migration of people across the San Diego/Tijuana border that dwarfs today's statistics. Throughout the 1980's and 90's, this was a pathway of least resistance, a doorway to opportunity for millions of Mexican and Central Americans who were Too Hungry to Knock. Furthermore, the frontier effectively extended 70 miles into the hills of North San Diego County where Bartletti revealed a subculture of migrant laborer squatter camps - people dug in for a raw version of the California Dream. These silver gelatin selenium toned prints, made by the artist with a vintage Leica Fotomat I enlarger, are more than finely crafted art of carefully focused journalism. These are the faces of those caught Between Two Worlds - a story that remains much the same today. 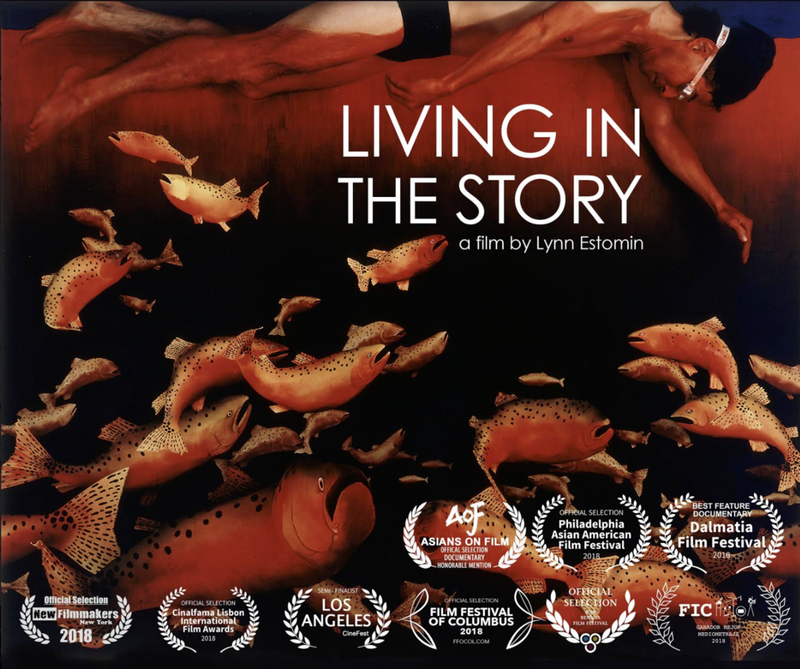 Don Bartletti was awarded the 2003 Pulitzer Prize for Feature Photography for his Los Angeles Times photo essay Enrique’s Journey. Other recognitions include the Robert F. Kennedy Grand Prize for International Photojournalism, George Polk Award; Scripps-Howard Foundation, Overseas Press Club, Pictures of the Year International and dozens more. Following each screening, there will be a panel discussion with ArtCenter alumnus and director Zack Snyder along with special guests from the individual films' cast and crew. Purchase a three-day pass or single-day tickets. A limited number of discounted tickets are available for ArtCenter alumni, donors, students, faculty and staff on a first come, first served basis. Attendees are also invited to join FullCircle to obtain discounted tickets and attend a private reception on Friday evening. Movie snacks, casual dinner and beverages are included in the ticket price. The event is being sponsored by VERO True Social. Limited edition t-shirts, with original art by Alex Pardee, are available through Ink to the People. All proceeds support ArtCenter College of Design and the refurbishing of the College's Ahmanson Auditorium. For inquiries, please email giving@artcenter.edu. We will reply within one business day. Join us for a special screening of the Hulu documentary Tiny Shoulders: Rethinking Barbie, featuring newly discovered footage and unprecedented access to the inner workings of a toy giant during Barbie’s biggest reinvention, surveys 60 years of women in popular culture through the lens of this 11.5 inch, Zelig-like plastic icon. Featuring interviews with Gloria Steinem, Roxane Gay, Peggy Orenstein, Mattel insiders and cultural historians, the documentary reveals, through both funny and fascinating archival material, and fly-on-the-wall observations of Barbie’s current architects, the progression and regression in the fight for gender equality. Following the screening, President Lorne Buchman will moderate a discussion with Andrea Nevins, producer, writer and director of Tiny Shoulders; and Kim Culmone, senior vice president and global head of design, Barbie & Fashion Dolls at Mattel. Seating is limited. Don't forget to register your attendance. The Photography and Imaging Department would like to invite you to an informal Tea for Norma Smith in the Sinclaire Pavilion, 3pm on Thursday, March 14, 2019. It is with great sadness that I share with you news about the passing of our beloved faculty member and friend, Norma Smith. For the last fifteen years, Norma’s courses in the Photography Department have played an important role in our curriculum. She was one of the bright shining lights in our faculty and staff. Even in illness, Norma’s commitment to her students and our department never wavered. Over the years, Norma spoke about ArtCenter almost like a second home, and we know that her students experienced something in her teaching that invited them to see something bigger than the subject, while challenging them to imagine something deeper than just the assignment. Norma managed to teach us something about ourselves as she helped us learn about photography. To honor her wishes, we will be serving tea, coffee, and other small refreshments in the Sinclaire Pavilion starting at three in the afternoon. Please join us for conversations, stories and a get together that she would have attended. We also thought it would be nice to collect photographs of Norma and put these in a book for her husband Dave. If you have any pictures of Norma, please do share them with us. You're welcome to email (photography@artcenter.edu), mail, or drop off prints in our office. Josephine Pryde is an artist, writer, and Professor for Contemporary Art and Photography at the University of the Arts, Berlin. 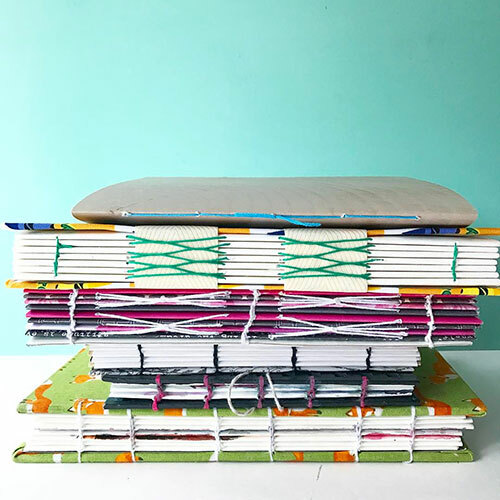 Her solo exhibitions, Lapses in Thinking by the Person I Am, at the CCA Wattis Institute of Contemporary Arts, San Francisco (2015), and These Are Just Things I Say, They Are Not My Opinions, for Arnolfini, Bristol, United Kingdom (2014), were recently brought together in a 2018 book co-published by ICA Philadelphia and Sternberg Press. The recipient of the 2016 Turner Prize, Pryde has exhibited in exhibitions including the Berlin Biennale, Berlin (2016), and New Photography, MoMA, New York (2013), and her work is held in the collections of MoMA, New York; MOCA, Los Angeles; the Metropolitan Museum of Art, New York; Art Institute of Chicago, Chicago; and the Stedelijk Museum, Amsterdam. She is represented by Reena Spaulings Fine Art, New York and the Simon Lee Gallery, London, where she recently opened an exhibit of photography and 3D prints entitled In Case My Mind Is Changing. Pryde’s writing appears in the journal Texte zur Kunst, where her Men of the Left, a reconsideration of the relationship between leftwing and feminist politics was published in the March 2018 issue. Josephine Pryde | Tuesday, March 12, 2019 at 7:30 p.m. Interviewing is a learned skill that CPD staff and faculty want to help you perfect! Join us for mock interviews where you can gain confidence, learn to present projects in a clear and concise manner while allowing employers to understand your unique perspective. You may only get one chance to interview with your ideal employer, make it count! Bring your resume, notebook/pen, a project you'd like to discuss and a firm handshake! You will rotate through various interviewers one-on-one. The series, shot primarily at night, shows the neon glow of urban lights illuminating passive crowds and displaced animals. In This Empty World, Brandt makes powerful and haunting images revealing the mutual suffering of animals and humans as victims of environmental devastation. Enjoy a free evening of art and entertainment as Pasadena’s most prominent institutions swing open their doors for ArtNight. Make the Armory your hub location, then hop on free shuttle buses connecting dozens of other cultural destinations, including the Norton Simon, Art Center, and the PMCA. 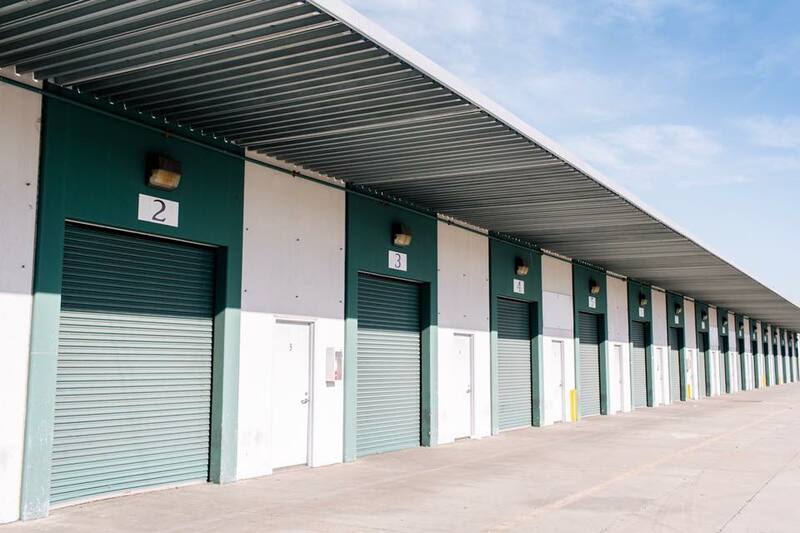 Also, be sure sure to check out artWORKS, our satellite facility in East Pasadena. The night is yours to decide. In addition to our current exhibitions, you can explore our year-round art classes for all ages. In our main studio, don’t miss El Rio—a Los Angeles-based sextet expressing resistance, love, and revolution through a fusion of Latin American folk rhythms. There will also be a cash bar with wine and local craft beer, an interactive scent lab, and food trucks. Ryan Schude is a Los Angeles based editorial, advertising, and fine art photographer. Schude creates staged narrative tableauxs that are filled with dark humor and drama. His clients include Entertainment Weekly, McDonald’s, Volkswagen, Time Magazine, Sony, Esquire, Hollywood Reporter, and the Guinness World Records. This event is hosted by the Photo Department and is free and open to the public. Visionary photographer Annie Leibovitz is one of our most astute observers of contemporary culture, depicting the past half century’s great personalities in images that are both iconic and intimate. Throughout her career, Leibovitz has created work that generates conversation, whether outrage, admiration, shock or some amalgam of all three. A Library of Congress Living Legend, Leibovitz’s lens both captures and shapes America’s modern landscape. Her illustrated lecture will be followed by a Q&A with Pico Iyer. Noah Berger, Embers From the Blue Cut Fire, 2016. Courtesy of the artist. In the Sunshine of Neglect includes 194 works by 54 photographers, including ArtCenter Photo department faculty member Ken Marchionno. Other featured photographers: Kim Abeles, Ansel Adams, Robert Adams, Lewis Baltz, Laurie Brown, Judy Chicago, Joe Deal, Lewis deSoto, John Divola, Christina Fernandez, Judy Fiskin, Robbert Flick, Anthony Hernandez, Sant Khalsa, Richard Misrach, Kenda North, Allan Sekula, Julie Shafer, Julius Shulman, Joel Sternfeld, Hiroshi Sugimoto, Larry Sultan, Kim Stringfellow, among others. It is curated by artist and UCR ARTS: California Museum of Photography Senior Curator Douglas McCulloh. 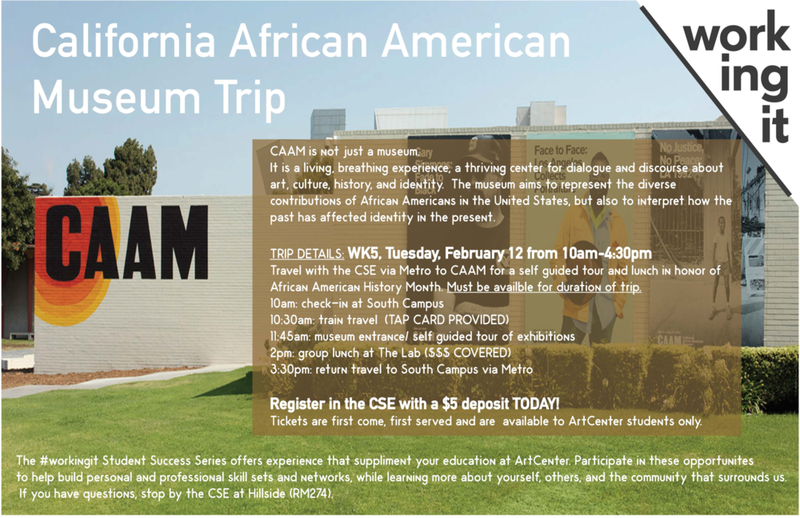 Opening reception will be held in both the Riverside Art Museum and the California Museum of Photography. The exhibition sites are three-and-a-half blocks apart. The exhibition will run through April 28, 2019. For more information, and to register for the seminar, please visit the BOLD website here. Join us on February 21st at 7pm as we Launch Black Film Matters, a new series dedicated to the contributions of Black filmmakers to visual storytelling. Short Film Showcase featuring the DGA African American Steering Committee’s Student Film Award Winners followed by Q&A. Movie at 7:00pm | Free Popcorn ! Join us on Thursday, February 21 in the LA Times Theater for an encore screening of director Stanley Kubrick‘s cold war classic DR. STRANGELOVE. Loosely based on Peter George‘s thriller novel ‘Red Alert,’ DR. STRANGELOVE concerns an unhinged United States Air Force general who orders a first strike nuclear attack on the Soviet Union. It follows the President of the United States, his advisers, the Joint Chiefs of Staff, and a Royal Air Force (RAF) officer as they try to recall the bombers to prevent a nuclear apocalypse. It separately follows the crew of one B-52 bomber as they try to deliver their payload. DR STRANGELOVE (Stanley Kubrick, 1964 / 94 mins, DCP) | Master filmmaker Stanley Kubrick’s satirical black comedy about cold war fears surrounding nuclear conflict between the USA and the USSR stars Peter Sellers and George C. Scott, and features James Earl Jones, Sterling Hayden, Keenan Wynn, and Slim Pickens. Join Andy Park, ArtCenter alumnus and Director of Visual Development at Marvel Studios as he talks about his journey as an artist: from ArtCenter to comic books, then concept art for video games, and finally Marvel Studios. 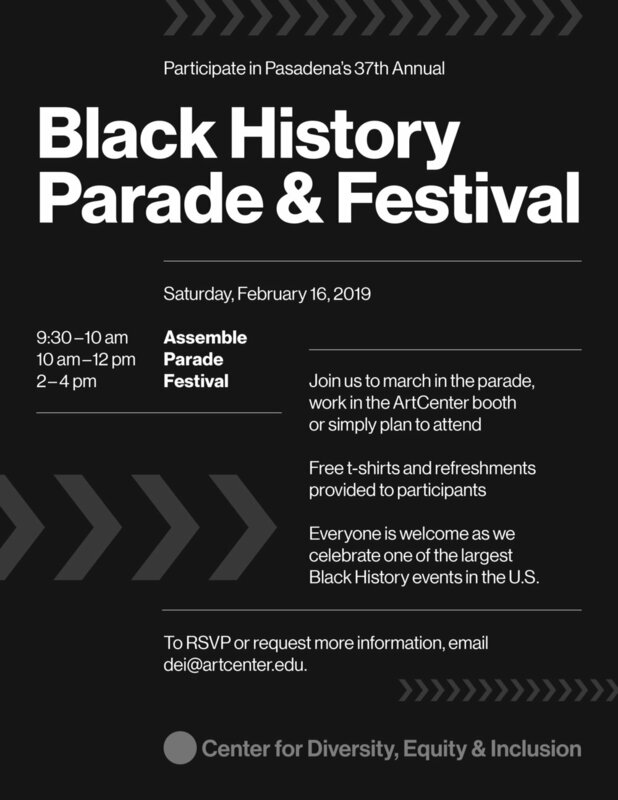 ArtCenter would like to invite everyone to be part of the ArtCenter delegation at the 2019 Pasadena Black History Parade and Festival on Saturday, February 16. Our collective participation in the parade is a symbolic demonstration of our commitment to diversity, equity and inclusion. Throughout Black History Month and in the months to come, we look forward to supporting the African American community on our campus and engaging the local community in a positive manner. Working on a resume or cover letter? Need to get started? CPD staff members will be in the Board Room to give feedback on drafts. Bring your laptop and make edits and get more feedback. We'll also have resources to help you get started. This will be a working session, and you can come and go as needed. There will be no formal presentation. Review the resources attached to this event, and watch the introductory Resume writing video here. The Power Hour professional development workshop series covers topics such as professional communication, interview skills, and building a professional network. SPRING/BREAK Art Show, New York City’s curator-driven art fair, invites you to our first-ever exhibition outside the New York Metropolitan area, running from February 15 - 17, 2019 in Downtown Los Angeles. Get Passes and Tickets before they run out! Art Streiber is a Los Angeles-based photographer and director specializing in reportage, portraiture, corporate, entertainment and advertising projects. He is known in particular for his portraits of entertainment and sports personalities. His numerous clients include Vanity Fair, Entertainment Weekly, ESPN, GQ, New York Times, NBC, HBO, Showtime, Paramount, Warner Bros. Studios, Cadillac, Heineken, and Disneyland. Join Career and Professional Development for a discussion about using Instagram as a creative professional. We'll look at some examples of how people are using Instagram to share their work, network, and develop creative opportunities. We'll also discuss how companies are using the platform to recruit. Come and share your tips, experiences and questions.